70th birthday compliment to 3 and Richard Newman on whose bells we rang. 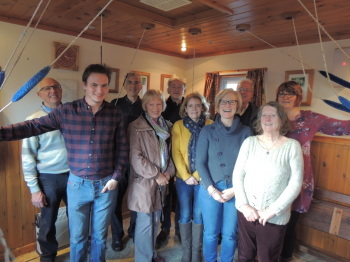 L-R: Donald, Isaac, Alex, Sue, Joe, Andee, Ally, Jeff, Lesley and Hilary. First submitted Sunday, 10 February 2019 at 19:19:19 by Alex Hunt. Sent for publication in The Ringing World on Thursday, 18 April 2019 at 20:49:26.